Looking for a leaner, stronger body? Hate high impact exercises? Our group cycling classes are for you! Our group cycling classes are low impact, high energy and will give you the results you desire in a cycling workout. Most classes are 45 minutes. Rider must be at least 4’11’’ tall to ride. Class minimum 3, maximum 11. What to Bring: a water bottle, a towel for you, and a heart rate monitor (optional). New Participants: Take a FREE class! Our free pass program lets you try it free! Send an email to Rmeyer@broadview-heights.org or call our front desk at 440-838-4522 to have us print you off a free cycling pass and sign you up for a time and date. Offer good for new participants only, one per person. 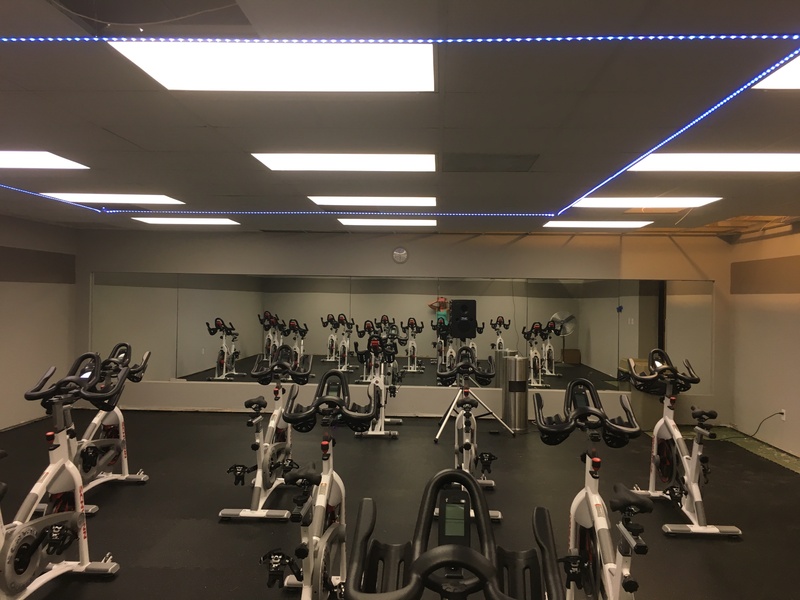 NEW: Come check out our newly renovated space, with all NEW cycling bikes. The Schwinn AC Performance Plus Cycles with Carbon Blue Drive Belt. This pass is good for all classes we offer on the group pass, including Yoga and Zumba as well as our senior classes, please see the group exercise page for more information on additional classes. Passes are non-transferable and non-refundable. At the time of the package purchase, you can reserve the dates & times of classes you wish to attend. You can also call in at any time after you have purchased a pass to reserve a spot in a class. Please reserve your space early to avoid having a class you want to attend be cancelled. You must check in and obtain a receipt at the front desk prior to each class. This receipt must be turned in to the instructor at the start of each class. In the event you are unable to attend a class that you have reserved a bike for, you must move your name to a new roster a minimum of 24 hours in advance. This can be done in person or by calling 440-838-4522. If your name is on the list 24 hours prior to the class, a visit will be deducted from your pass regardless of attendance. There are no exceptions to this rule, other than with a doctor note due to injury or illness.